There a billion home decor and DIY magazines and websites out there but the best way to receive fresh and unique ideas Pinterest has become the new Google in DIY projects. Not only does it provide inspiration and it’s easy to browse and search projects. If you are looking to get involved in re-puporsing or recycling existing furniture and other home goods, not only can your costs stay low, but it’s likely that you have the required project materials in your home already. The projects range in difficulty from basic to advanced. Some require nothing more than scissors and glue; others require advanced skills in woodworking and sewing. One thing is for certain is that there is something for everyone. These are just a few ideas to add some spice in your home decor, the Holidays are around the corner and what a great way to get involved than doing a DIY project together. Which ones will you incorporate into the decor of your home? 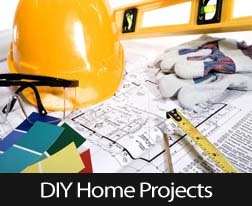 For more information about DIY projects and home ownership, feel free to contact your tursted real estate professional.